Q: What are the protective benefits of flame retardants? A: Flame retardants play a unique role in fire prevention and fire safety. They not only prevent fires from starting, but if a fire does occur, they slow down the spread of the fire and improve the opportunity for safe escape. Their role in delaying flashover, for example, is especially critical to escaping the deadly consequences of fire. Flashover occurs when every flammable object in a room bursts into flames at the same time as a result of a combination of intense heat and the release of flammable gases. This can occur in just a few minutes, and flame retardants’ function in slowing this process down can be the difference between life and death. The benefits of flame retardants are well documented in studies and in real life examples. In September 2009, at a conference on flame retardants and firefighter health, the Materials Flammability Group of the National Institute of Standards and Technology presented the following findings: flame retardant products studied provide a 15 times greater escape time compared to non-flame retardant treated products, and flame retardant treated products had a three-to-four times lower heat release rate and lower quantity of toxic gases released relative to the non-flame retardant product tests. Q: Fire danger in the United States does not seem to be the threat it once was. Statistics show that the number of fires in the United States is decreasing. So why are flame retardants still necessary? A: According to the National Fire Protection Association (NFPA), the number of reported fires in the United States decreased by seven percent from 2008 to 2009. In addition, between 1977 and 2009, civilian fire deaths declined from 7,395 to 3,010 respectively. Flame retardants have played a key role in reducing the incidence of fire. Unfortunately, despite the perceptions of some that fires are no longer a cause for concern, fire dangers continue to exist. These fires caused 3,010 civilian deaths and 17,050 civilian injuries. All fires caused $12.5 billion in property damage. A fire department responded to a fire every 23 seconds. 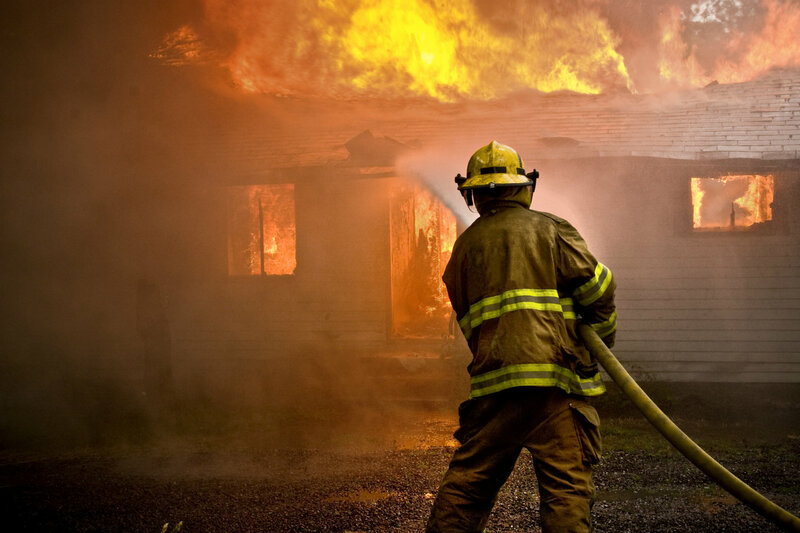 One civilian fire injury was reported every 31 minutes. One civilian fire death occurred every two hours and 55 minutes. Flame retardants have proven to work and continue to be an important component in the overall effort to address the dangerous consequences of fire, prevent fire-related injuries and protect lives. The use of flame retardants in upholstered furniture is a clear example of how flame retardants can be effective in protecting lives and preventing injuries. According to the National Fire Protection Association, fires originating in upholstered furniture account for more than 20 percent of all fire-related deaths in residential structures. Currently, California is the only state with fire safety regulations for upholstered furniture. Additional factors that point to the continued need for flame retardants include the lifestyle changes Americans have experienced over the last several decades and ever-growing consumer demands for more electronic products. Through the development and application of technologically advanced materials, manufacturers, especially those in the computer and electronics industries, are responding to consumers with more efficient, smaller, yet more powerful devices. But many of the new materials now used in products in homes and offices are more flammable than their earlier counterparts. With modern homes carrying significantly higher fuel loads than in the past, fire in today’s homes can be more severe than ever. For this reason, numerous bodies including NFPA, the International Code Council and many states and cities require buildings and materials to meet specific fire retardant standards. Q: In the past, a major cause of fire was a result of people smoking in bed. Since so many people no longer smoke cigarettes, doesn’t that reduce the need for flame retardants? A: Despite intended advancements to make cigarettes “fire safe,” cigarettes are still a leading cause of home fire deaths, according to the National Fire Protection Association (NFPA). Cooking fires are the leading cause of home structure fires and home fire injuries. The Center for Disease Control and Prevention reports that about 85 percent of all United States fire deaths in 2009 occurred in homes. Other major causes of home structure fires cited by the NFPA include heating equipment (e.g., portable and fixed space heaters, central heating units, water heaters), which ranked second, and electrical distribution and lighting equipment, which ranked fourth. Fires started intentionally ranked third. Regardless of the original source of ignition, the presence of flame retardants plays a unique role in helping to prevent the fire from starting and delaying or avoiding flashover, increasing chances for escape. In addition, the protective benefits of flame retardants are critical for at-risk populations. In research released in May 2011, The NFPA found the populations at highest risk for home fire-related deaths were children under the age of five and over the age of 65. Turning Star, Inc. is a privately owned a flame retardant product manufacturer and fire resistance service company. Our company manufactures flame retardant chemicals for use in industrial applications, as well as fabrics and decorations. Our flame resistance services include treatment, testing, certification, consultation and training. Our flame retardants have gained recognition across the country for their high quality, ease of application and non-toxicity. Turning Star products and services are endorsed by fire safety and fire enforcement officials across America. For more infomation on our products and services, contact us today.